Apple wood is the strongest of the fruitwoods and provides a good, hearty smoke with a sweet and fruity flavour. Made with reclaimed Apple trees from orchards that have exhausted their growth cycle. 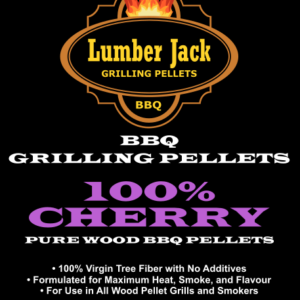 Lumber Jack 100% Apple wood BBQ pellets are a superb choice for pork, ribs, ham, fish, poultry and game birds. Made from 100% Pure Apple flavourful wood chips, not residual sawdust.